Published by Prairie Farmer Publishing Company, Chicago, 1917. Cover has some wear. Inside pages are aged but nice and clean. No map. 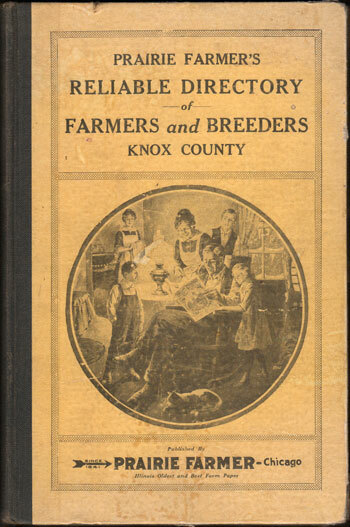 A directory of farmers that includes the name of wife, names of children, size and location of farm, year settled in Knox County, Illinois. Hardbound, 178 pages. Also includes numerous business ads.